BRANDON, MB – A history professor at Brandon University (BU) has been given a prestigious national award for her career efforts in women’s history, which include films, books, and work with the Canadian Human Rights Museum and the Canadian Museum of History. Dr. Rhonda Hinther captured the Marion Dewar Prize, presented by the National Capital Committee on the Scholarship, Preservation and Dissemination of Women’s History. The award, in honour of former Ottawa mayor and feminist activist Marion Dewar, celebrates Canadian historians who specialize in women’s history. Dr. Hinther is associate professor in the Department of History at BU and the former Director of Research and Curation at the Canadian Museum for Human Rights. 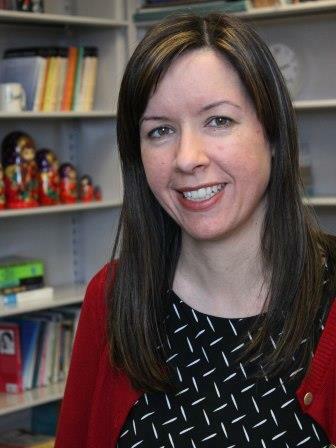 She is also adjunct professor at the University of Winnipeg and Carleton University, and research associate at the University of Manitoba and the Carleton Centre for Public History. This past May, she was elected Vice-Chair of the Canadian Committee for Women’s History. Dr. Hinther has played a role in several historical film projects, including If Day: The Nazi Invasion of Winnipeg, Black Field, and The Oldest Profession in Winnipeg: the ‘Red Light District of 1909-1912. Her forthcoming book explores pro-communist and radical Ukrainians in Canada.